At Bostock's we consider our operatives, sub-contractors , clients and members of the public's safety very highly. We ensure that our sites are set up correctly and procedures are in place and followed during the construction process. Our highly trained Supervisors and Managers carry out regular audits and safety checks to ensure that the standards are maintained. A third party Health & Safety advisory organisation is utilised to ensure that the correct legislation are adhered to and accurate information is relayed to the workforce. A copy of our Company Health and Safety Policy is available upon request. 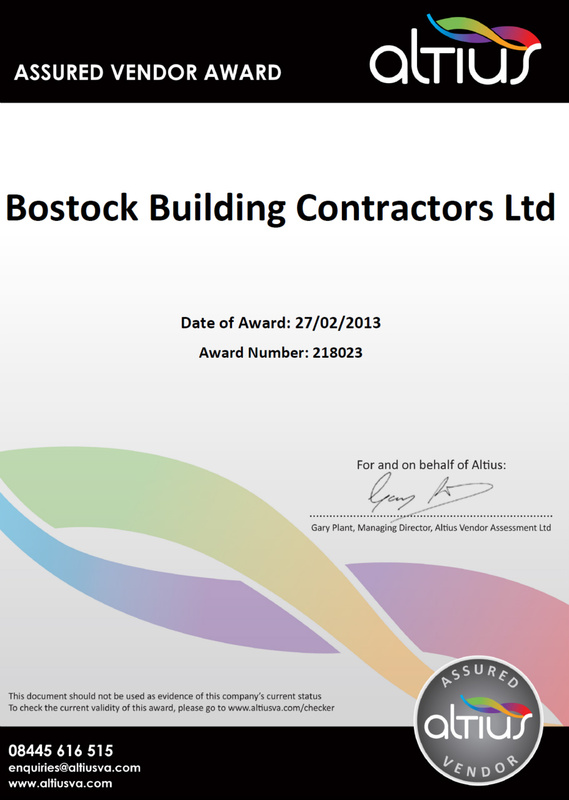 Bostock's Building Contractors strives to meet the high expectations of our individual clients and constantly monitors and assess all aspects of the business including Quality Assurance and most importantly Health & Safety. The company has achieved the standards required by Altius which is a vendor assessment organisation used by large clients, this entails meeting the stringent Health & Safety, insurance and Quality Assurance requirements. As an approved Altius Assured Vendor and all of our Health & Safety information can be found at www.altiusva.com. The process doesn't just stop when Altius Assured is achieved, the process involves regular assessments to ensure that the required standards are continually met. We are very proud of the fact that the company has achieved the high standards required by Altius and that the ongoing assessments remain positive. 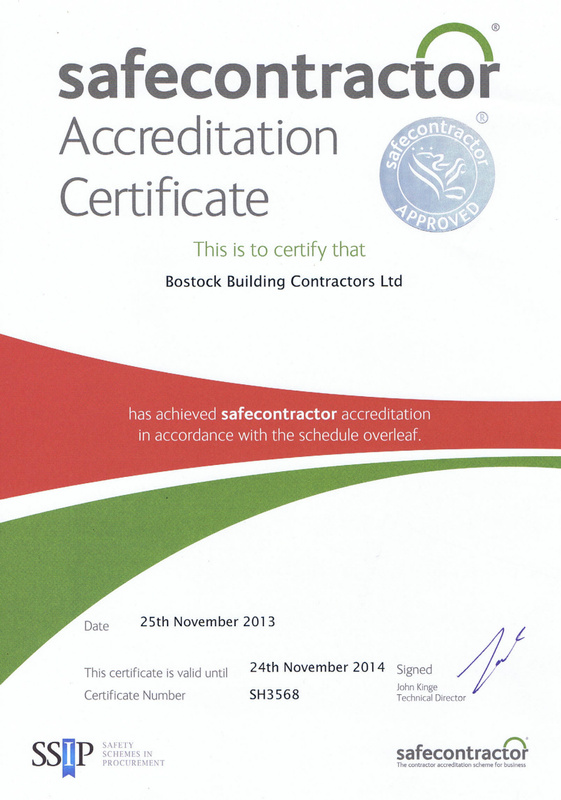 We have now received Safecontractor Accreditation. The safecontractor certificate is a means of demonstrating their level of health and safety compliance to clients and potential clients.